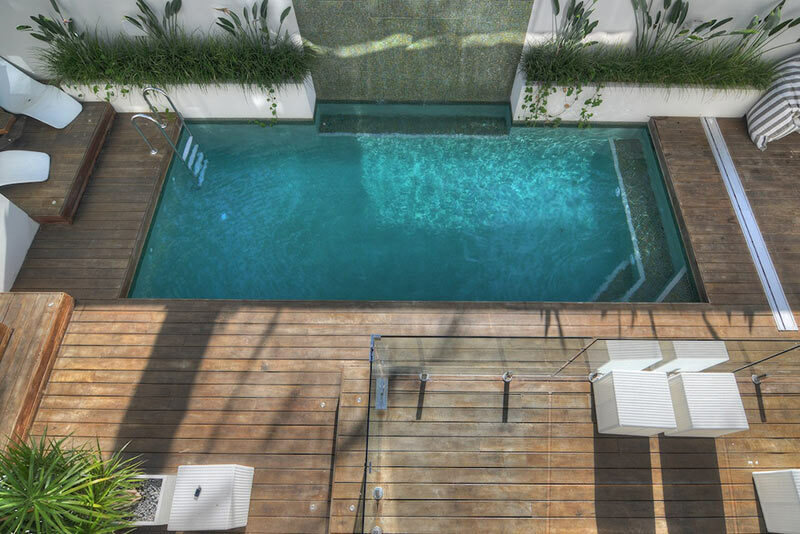 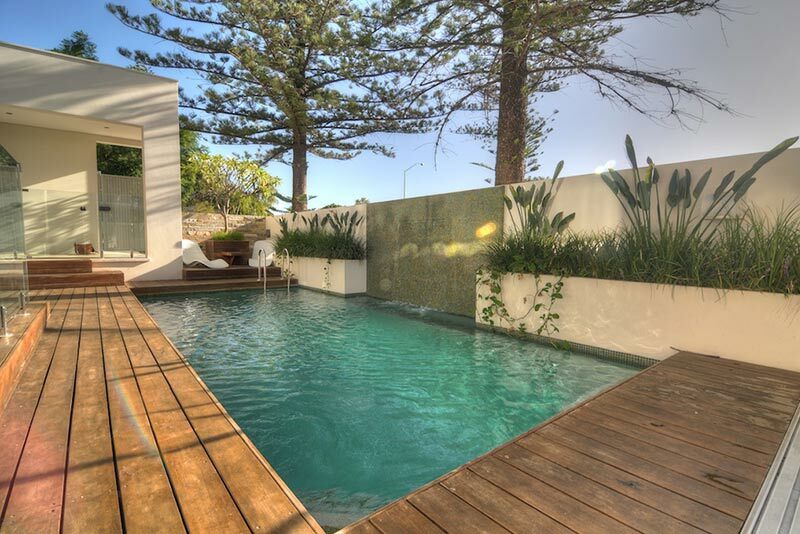 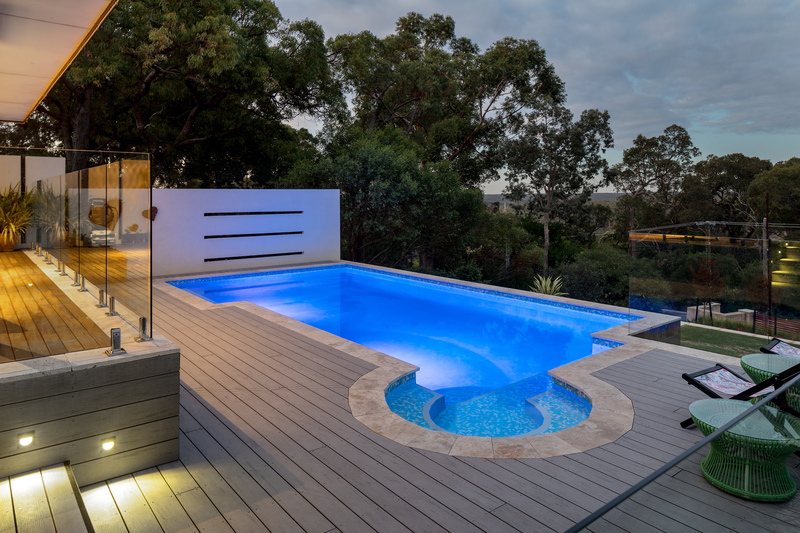 This tropical geometric pool, with the creative use of decking brings a seamless transition between the pool and alfresco areas. 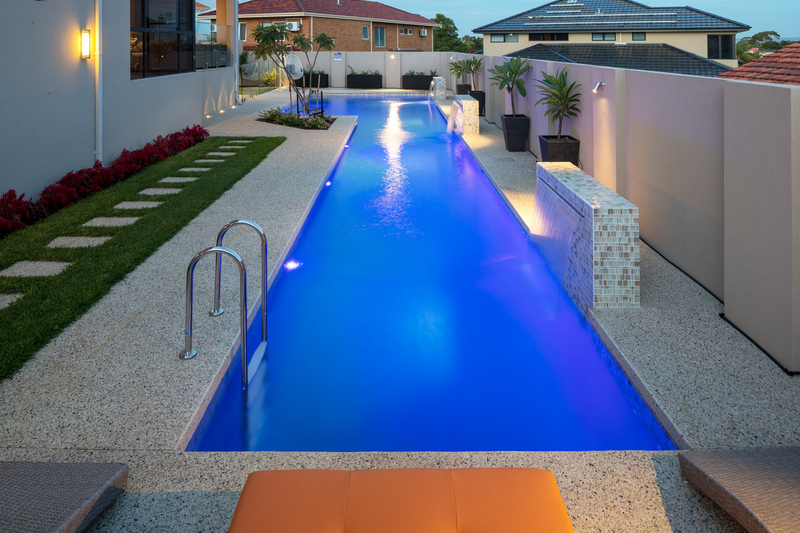 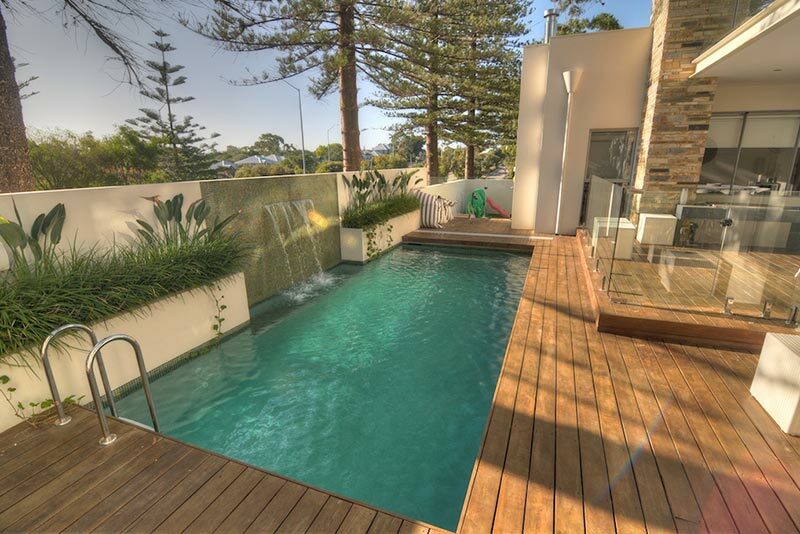 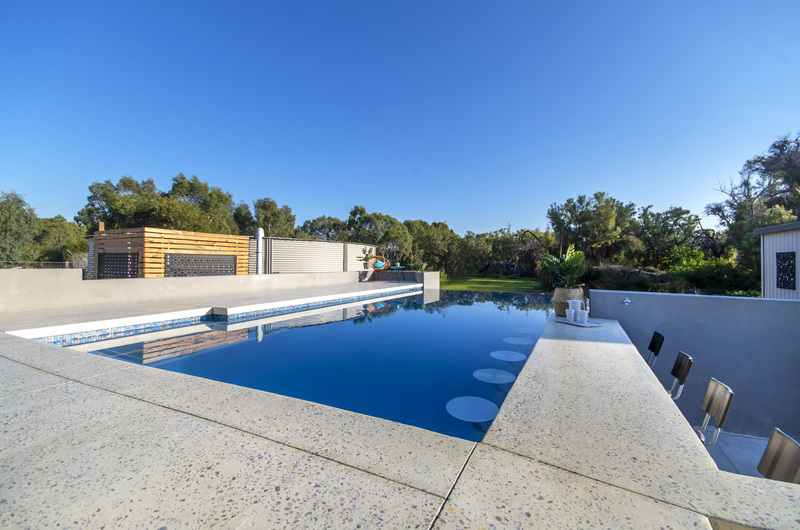 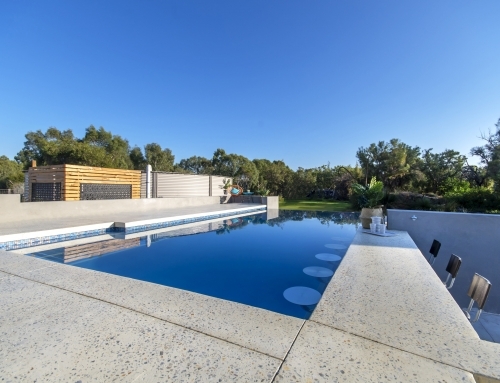 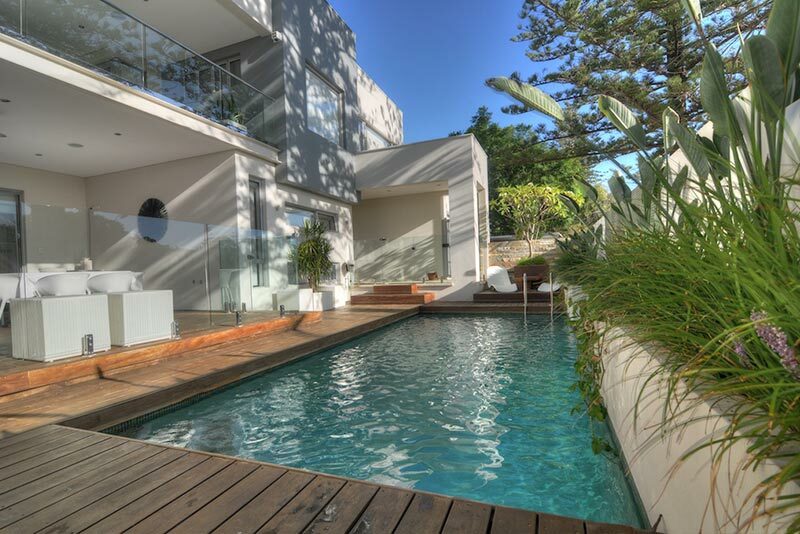 The stunning water feature wall and integrated garden bed provides a spectacular focal point which the client can view from their alfresco, whilst also showcasing the flexibility of concrete pool construction. 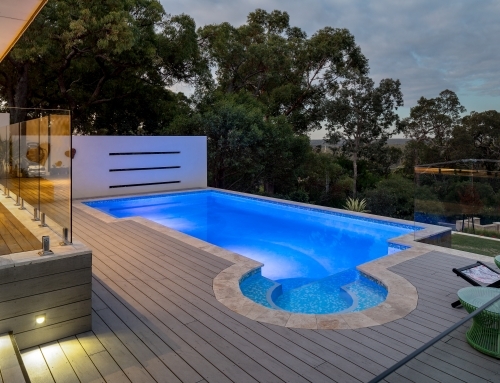 The decking houses a motorised pool blanket roller system for ease of installation and retrieval. 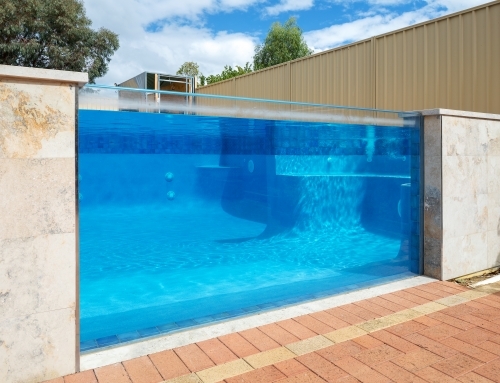 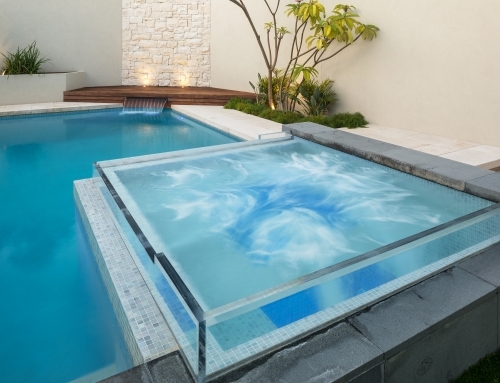 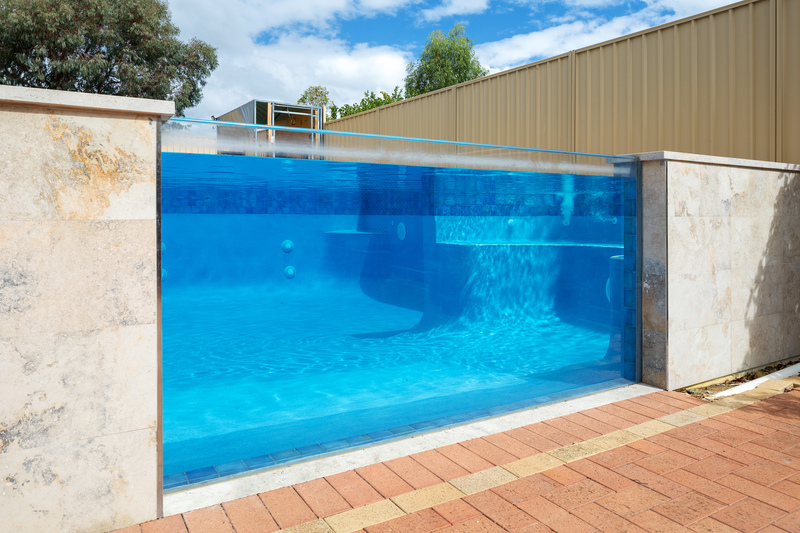 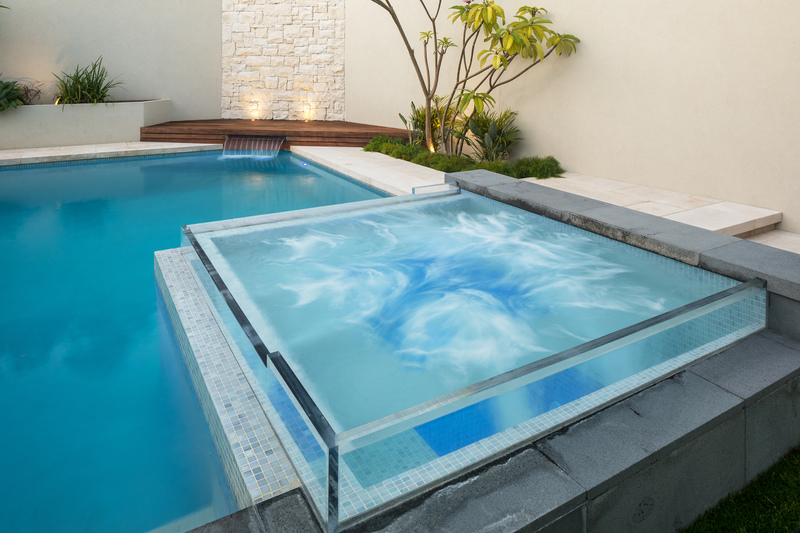 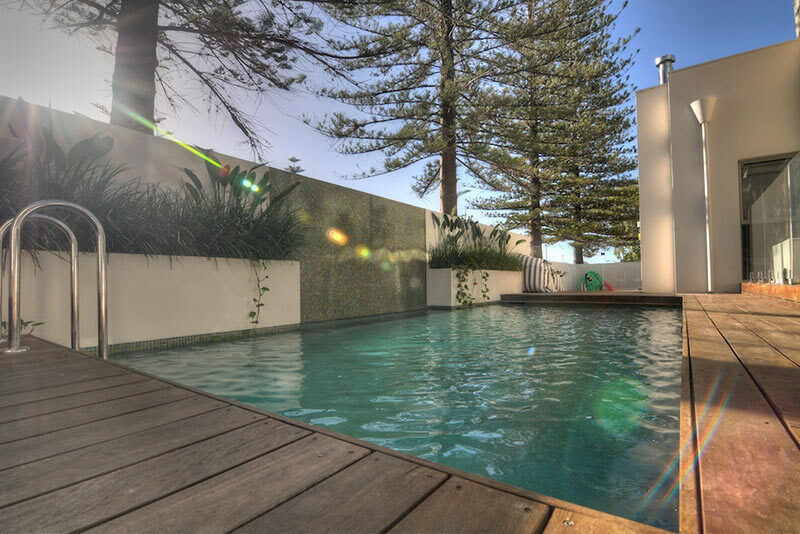 A contemporary stainless steel ladder provides an alternate means of pool entry/exit. 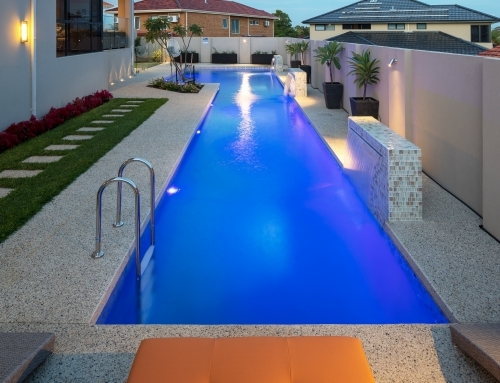 Mosaic tiling and turquoise quartz render provide an inviting effect.